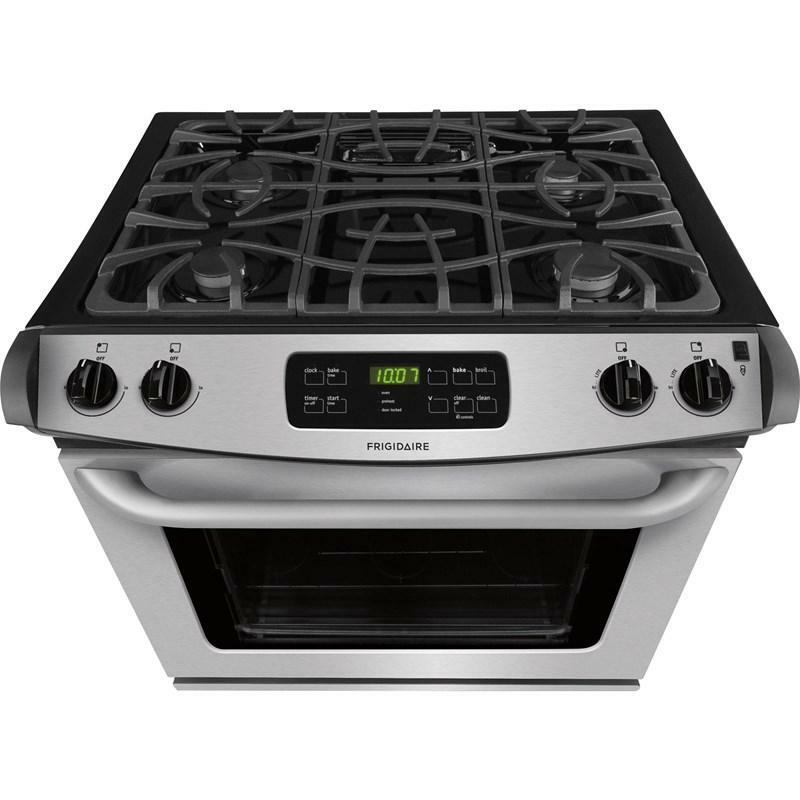 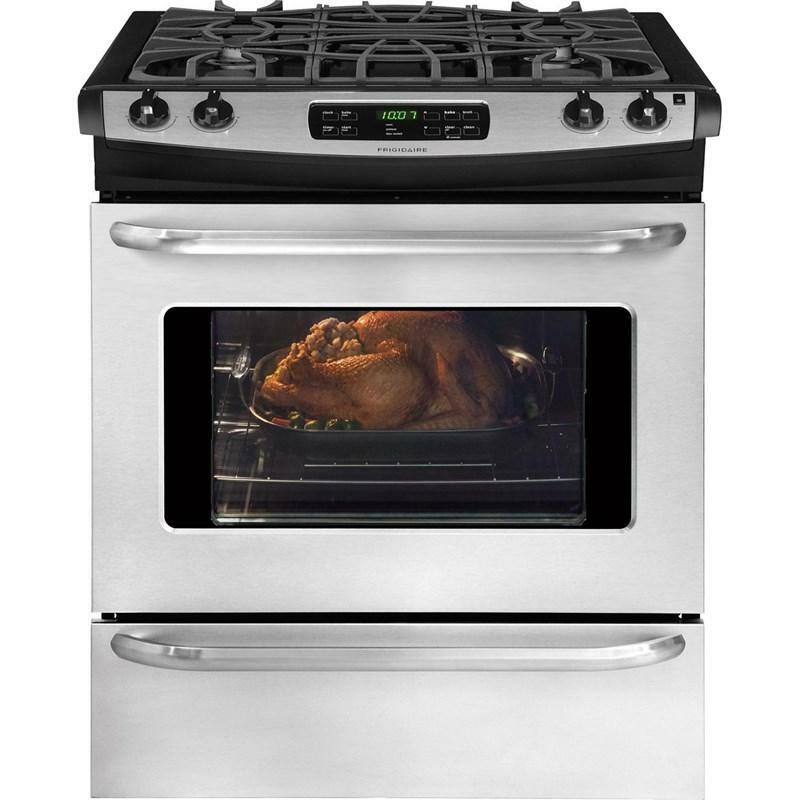 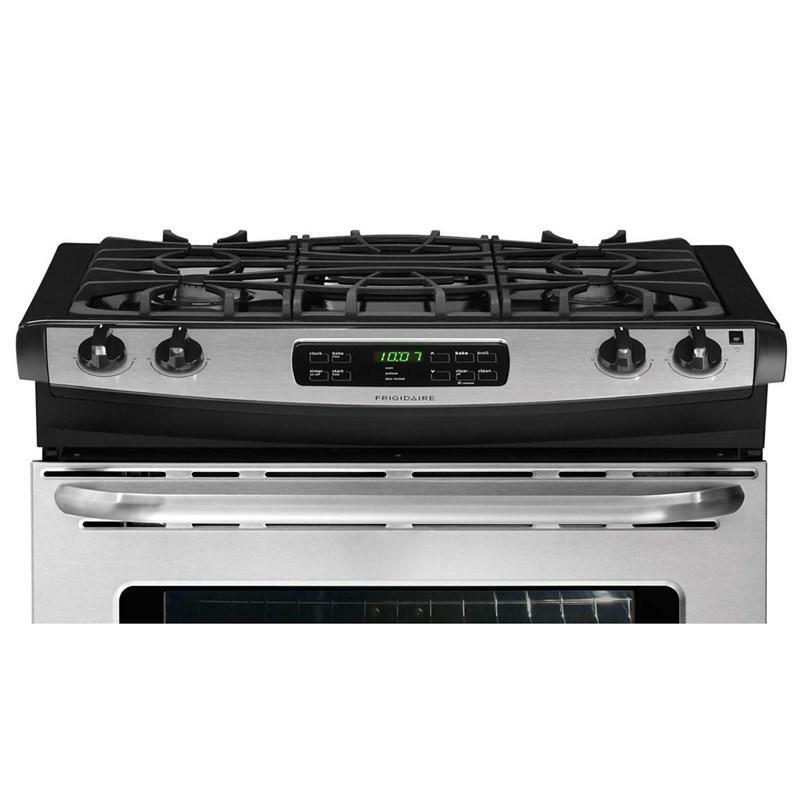 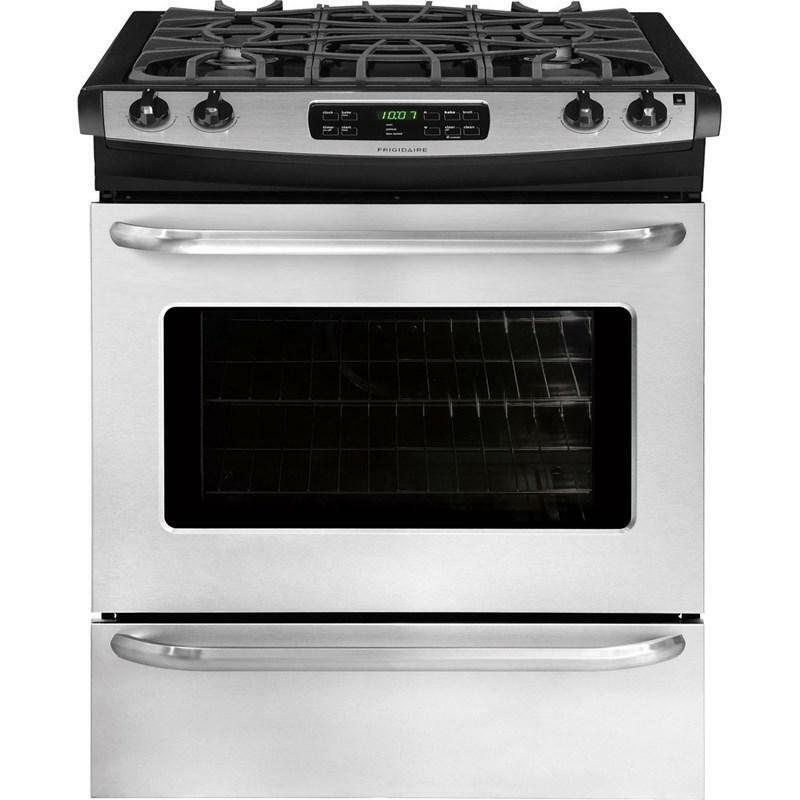 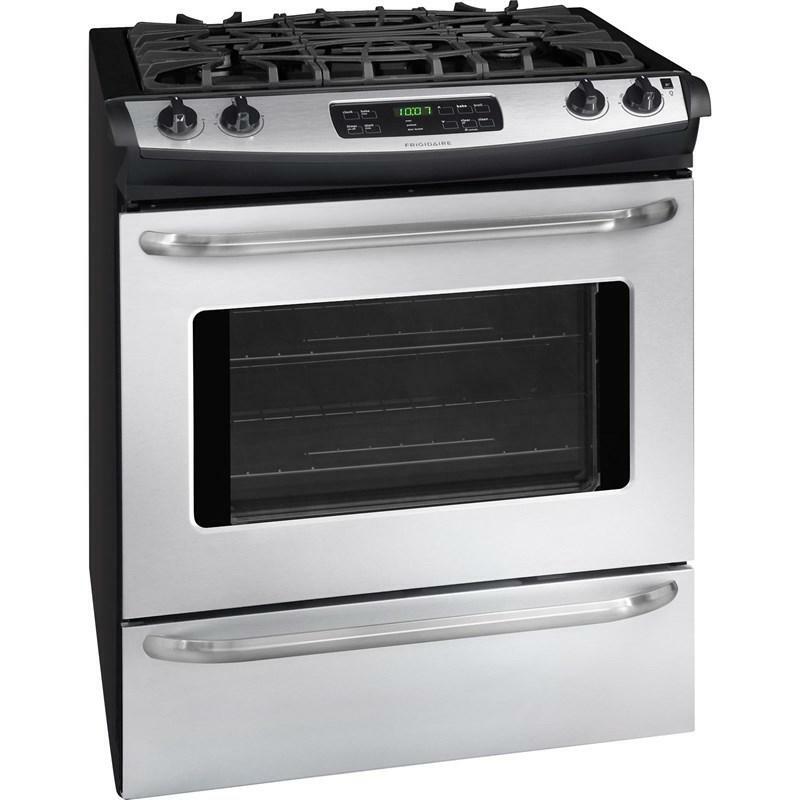 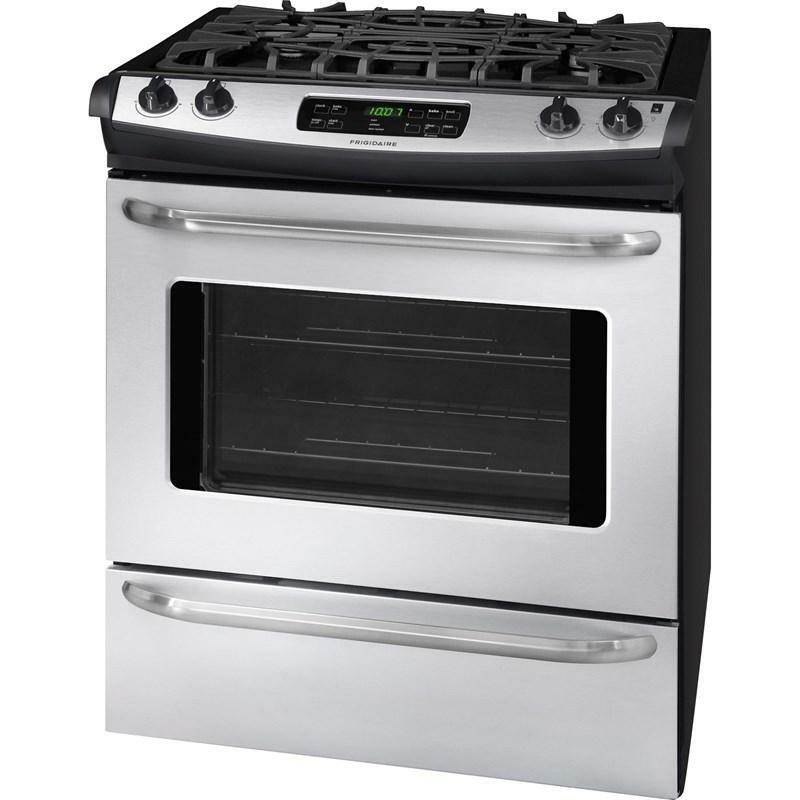 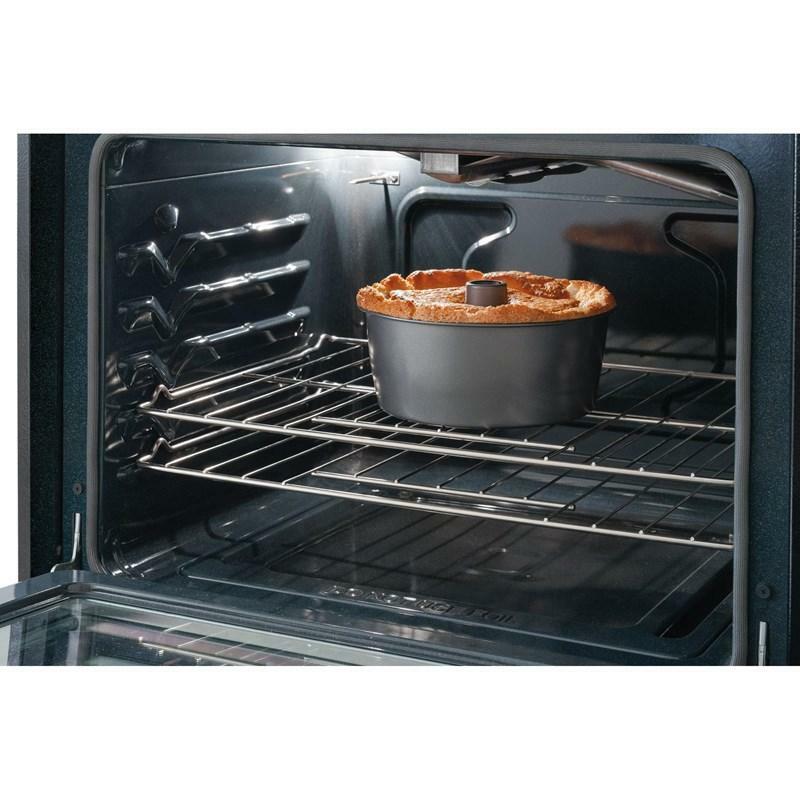 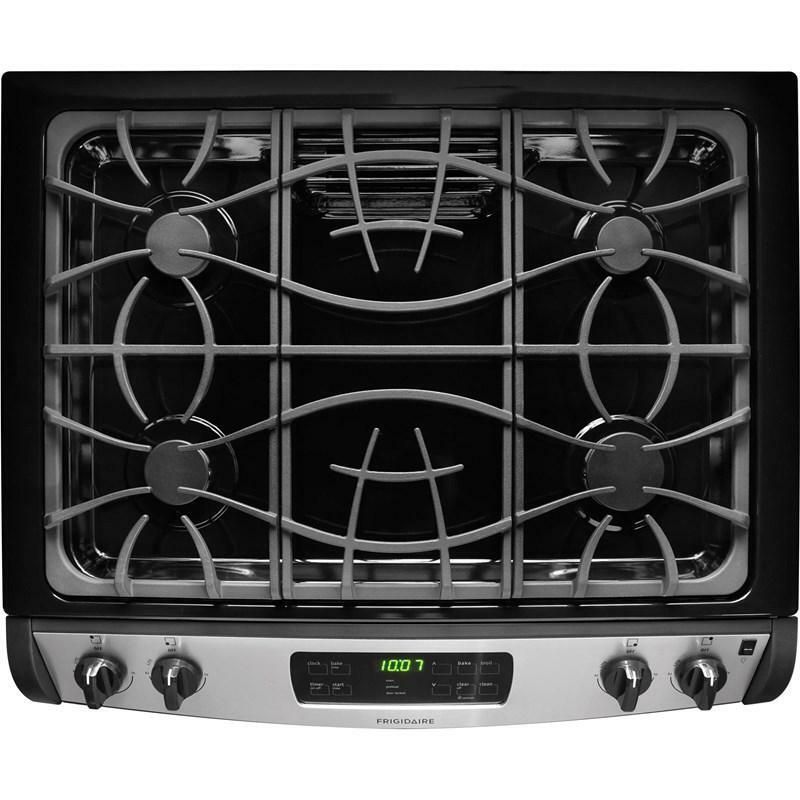 This Frigidaire 30" slide-in gas range features Ready-Select® controls, multiple broil options, power clean and a large capacity oven. 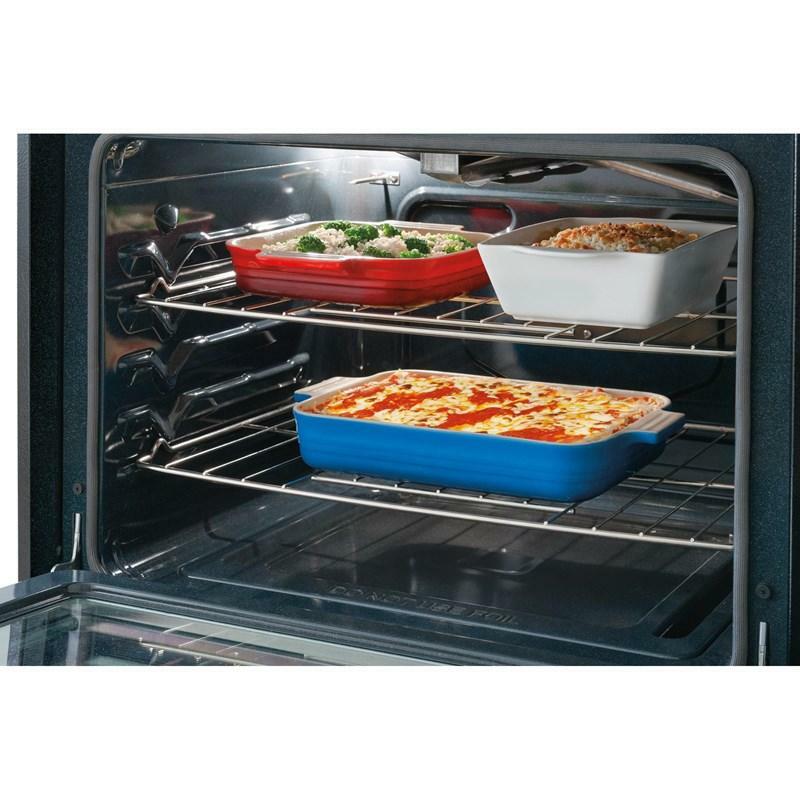 Its oven racks are designed with space for you to easily pull out the racks, even when wearing an oven mitt. 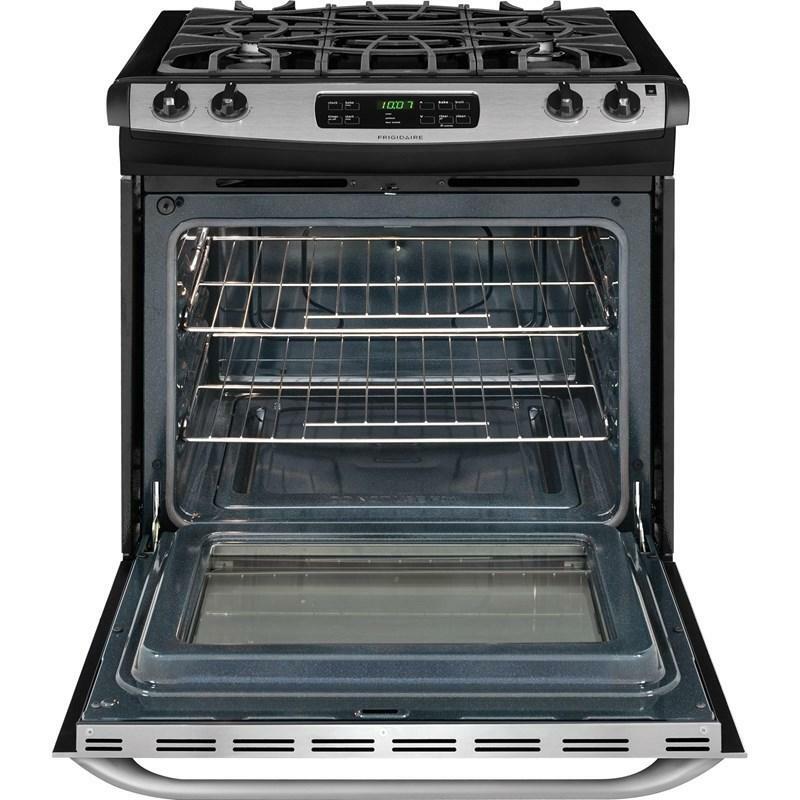 • Self-clean: 2, 3 hours. 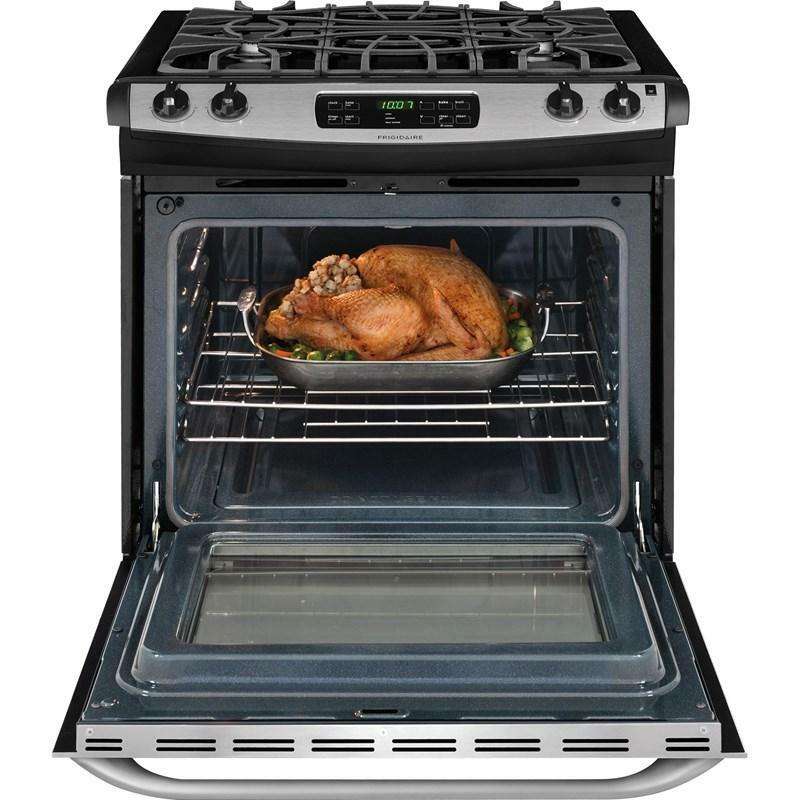 • Right rear: 5,000 BTU.